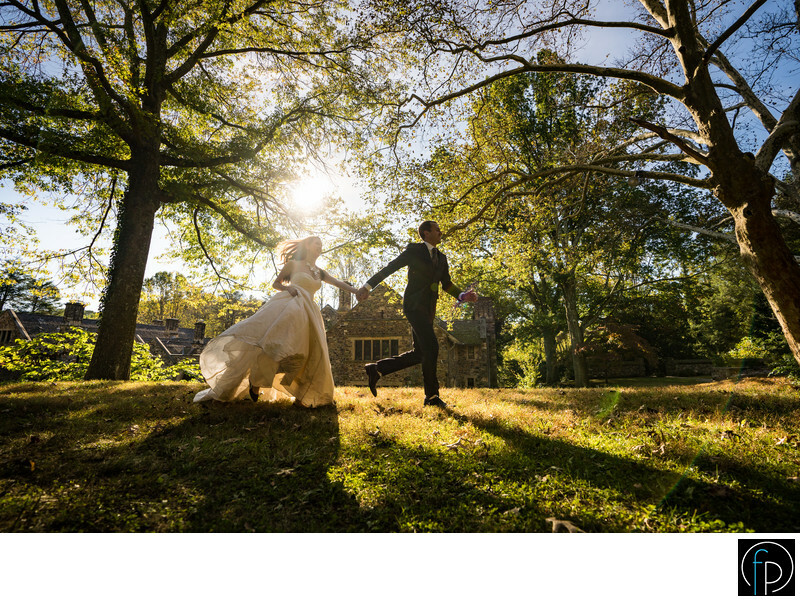 Our groom pulls his bride along as they run through this perfect setting at Ridley Creek State Park. This photograph has to be from a fairytale. The sun was in an ideal location to light up the trees around the couple and grass below their feet.